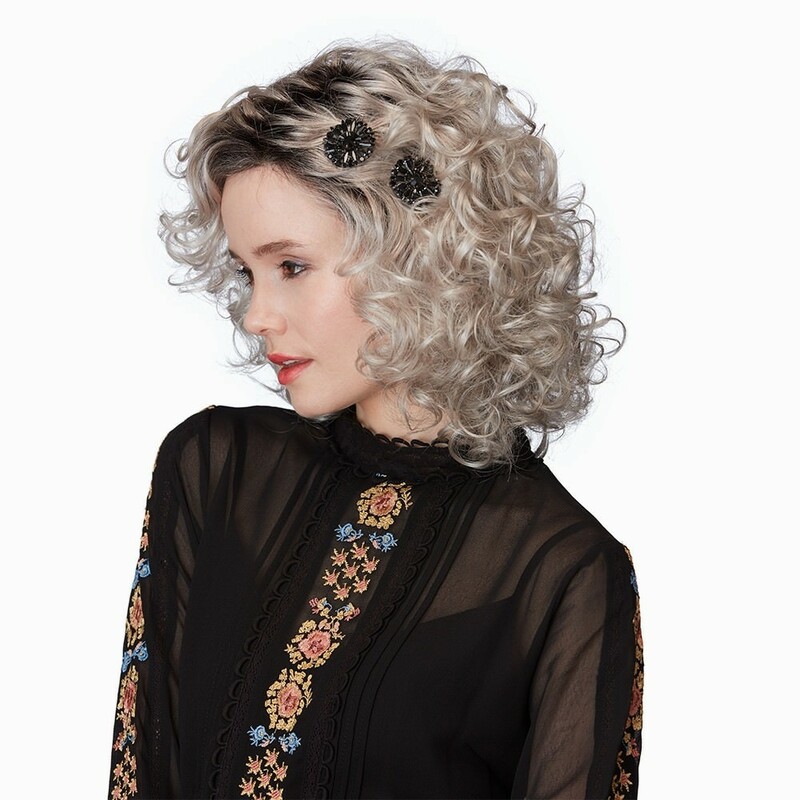 Luscious, bouncy curls frame the face in this unique, beautifully cut bob incorporating a lace front designed to be as discreet and natural looking as possible and allow for back-off-the-face styling. The delicate look of this sweet style is designed to add a touch of fresh femininity to your image and personal style. Shown here in Burnished Snow Rooted and Rich Ebony colours. 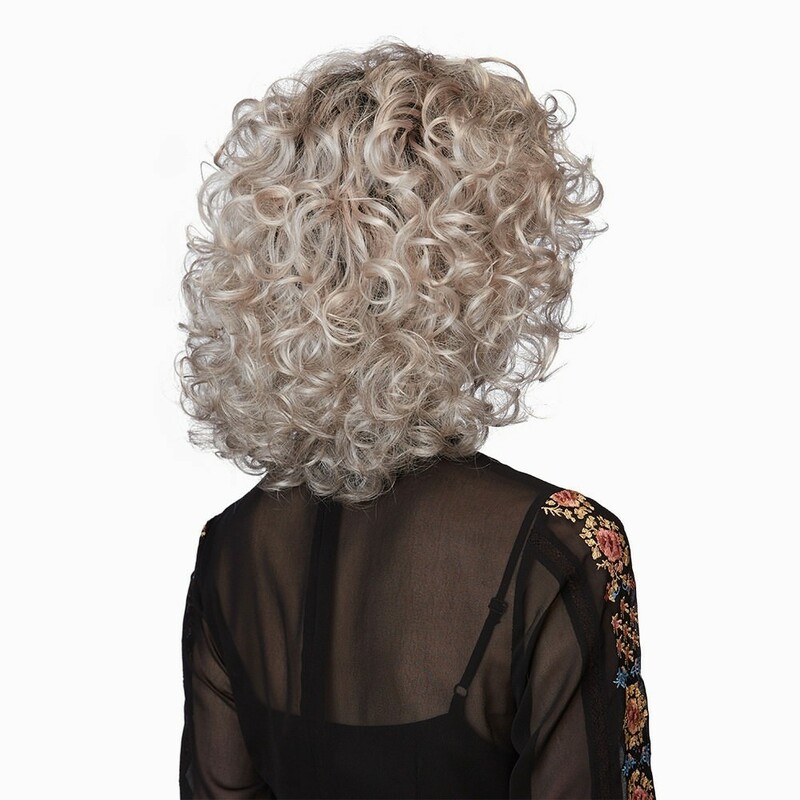 The Compelling wig features a Monofilament Crown which is a very fine skin toned mesh to which fibres are individually placed, creating the look of natural hair growing from a parting. The base of the wig is the Natural Image Comfort Cap construction which is light, comfortable and breathable with fine Velcro tapes allowing for the wig to be adjusted for a custom-like fit. 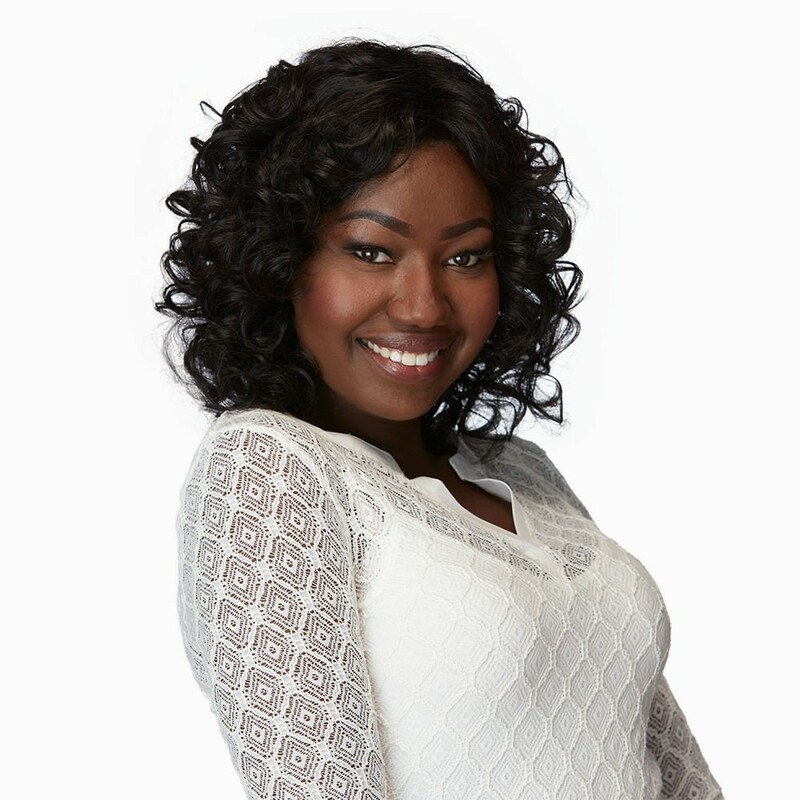 The Lace Front is a virtually invisible, hand-knotted sheer lace front making it natural looking and allowing for off-the-face styling.